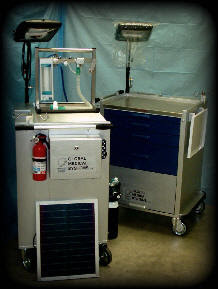 "Hospital in a Box" developed by Dr. Seyi Oyesola is a portable medical system containing anesthetic and surgical equipment. Light enough to be dropped into inaccessible zones by helicopter and powered by solar panels - the kit is a life and death solution for those most in need. But for millions in Africa the kit is not enough to address a continent wide challenge of an outdated health care system that fails to properly and safely treat the most basic medical conditions. 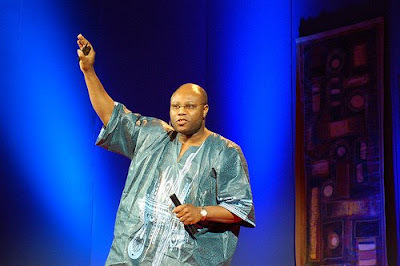 At a recent talk given at the TED conference, Dr. Oyesola pointed out that the state of medical care is so dire in most parts of Africa that injuries as basic as burns can lead to fatal consequences. His illuminating speech reminds us that without proper education and training of new physicians, and attention paid to the quality of facilities of care, millions will die from ailments far more treatable than Malaria and AIDS that are known to plague the continent. Here is his sensational presentation, courtesy of TED.